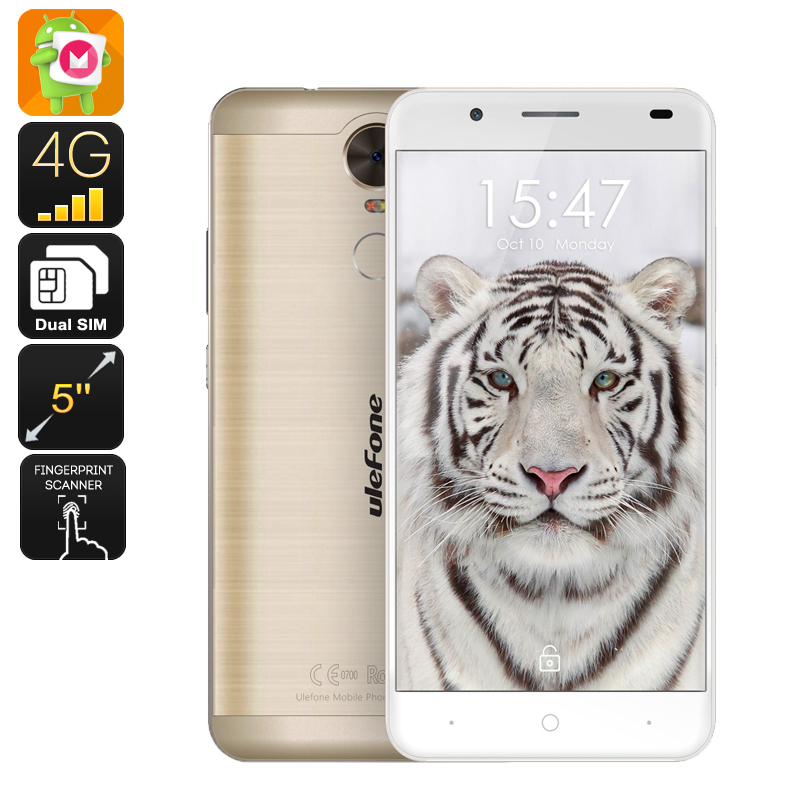 Successfully Added HK Warehouse Ulefone Tiger Smartphone - 5.5 Inch IPS Display, Dual-SIM, 2GB RAM, Android 6.0, Quad-Core CPU (Gold) to your Shopping Cart. With its large 5.5 Inch HD display, the Ulefone Tiger truly is a remarkable smartphone that lets you enjoy all its features in stunningly beautiful quality. Featuring IPS screen technology this display provides you with an exceptionally large viewing angle and displays all media in vivid colors – allowing you to take your mobile entertainment experience to the max. Along with its Mali-T720 graphics card, this Chinese smartphone lets you enjoy the latest games, movies, and Apps in stunning detail, assuring that with this Android phone at hand you won’t be feeling bored again anytime soon. Running on the Android 6.0 operating system, the Ulefone Tiger brings along an exceptionally smooth user experience that lets you enjoy the latest features the smartphone industry has to offer. Dual-SIM card slots additionally allow you to insert two SIM cards at the same time and, thanks to the phone’s Dual-IMEI numbers, you can now be reachable on both phone numbers simultaneously. This provides you with an Android phone that is perfect for businessmen who would efficiently like to separate their work and private life in one mobile device. Packing a sophisticated Quad-Core CPU that reaches speeds up to 1.3GHz, this Android smartphone can smoothly handle whatever you throw it at. 2GB of RAM additionally make this phone fit for demanding multitasking sessions. Whether you like to play the latest games, stream a movie online, or discover the newest mobile applications – the Ulefone Tiger handles all your demands without dropping a frame. Coming with a whopping Sony 4200mAh lithium-ion Polymer battery this Chinese Android Phone provides you with a stunning 12 hours of continuous usage time, enough to get through multiple media-intensive smartphone days without the need to recharge your battery. Supporting 4G connectivity this latest Android phone provides you with the fastest mobile network speeds out there, allowing you to browse the web in lighting speeds no matter where you are. Download files and movies in the blink of an eye thanks to the phone’s ultra-fast connectivity – with 128GB of external storage space the Ulefone Tiger always has an empty spot of storage available for you to save your latest downloads. Supporting OTG, this Chinese smartphone additionally allows you to connect external hardware devices such as a memory pen to your cell phone – significantly increasing your overall smartphone experience. 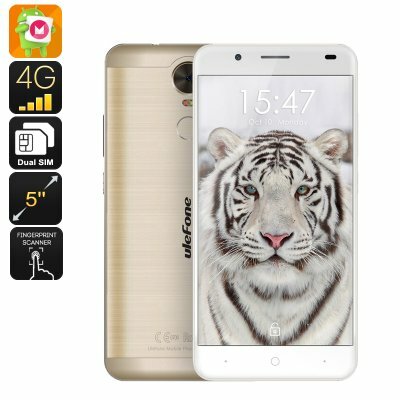 This Ulefone Tiger comes with a 12 months warranty, brought to you by the leader in Dual-SIM smartphones as well as wholesale electronic gadgets..